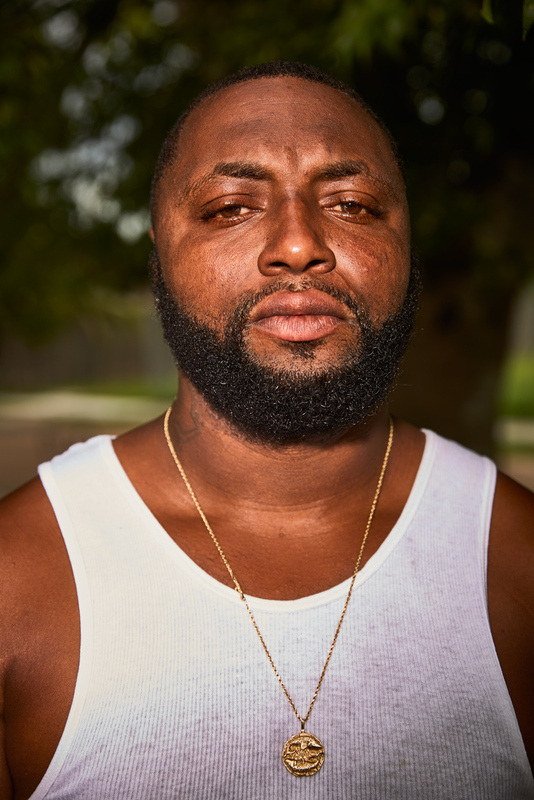 La'Marque Victor, 34, next to his house on Dale Street in New Orleans, Louisiana. Victor came home from New Years Eve celebrations to find a man on his porch who had been shot a dozen times. Miraculously, the man survived. "I thought he got killed," Victor said. "He got shot 12 or 13 times. God was with him."